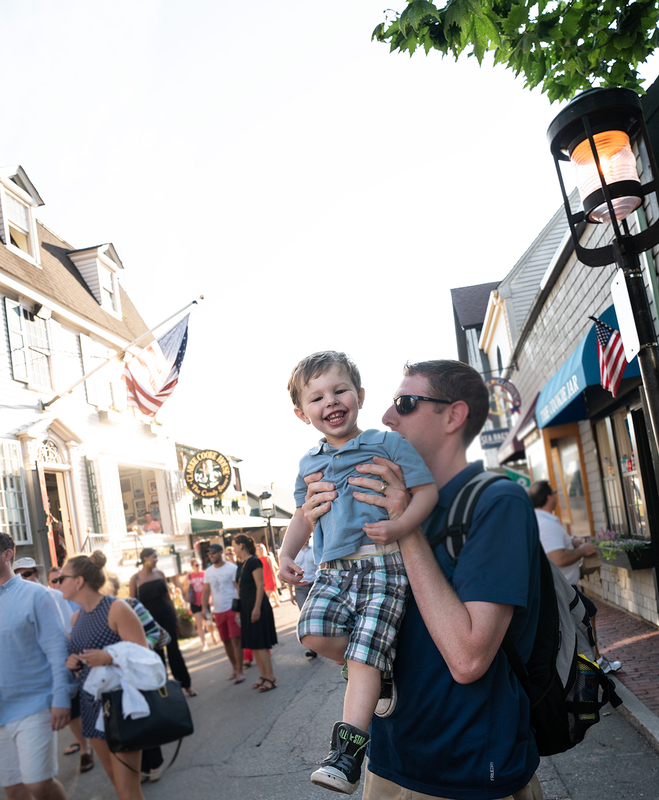 Of all of the places we’ve seen and explored so far on our family’s travel journey, Newport stands out as one of our top travel destinations in New England. 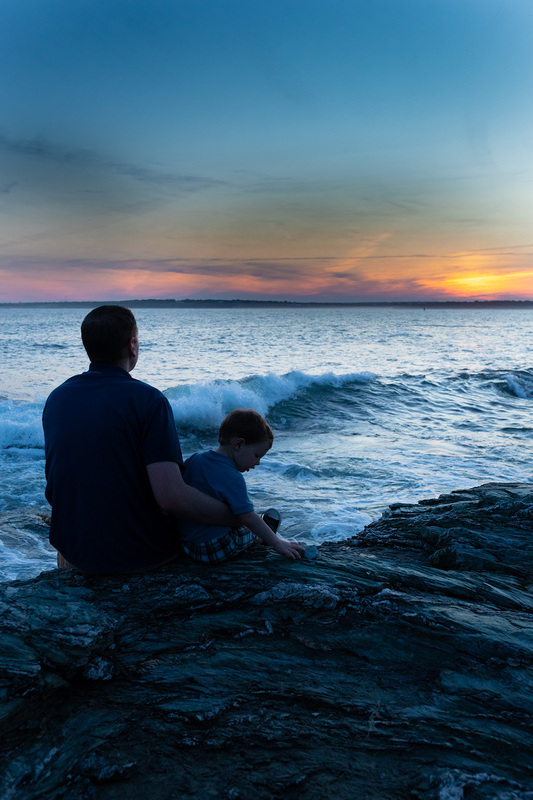 Well, to begin, we should mention the stunning beach sunsets on rocky shorelines. And then there’s the beautiful downtown shopping district right on the harbor. 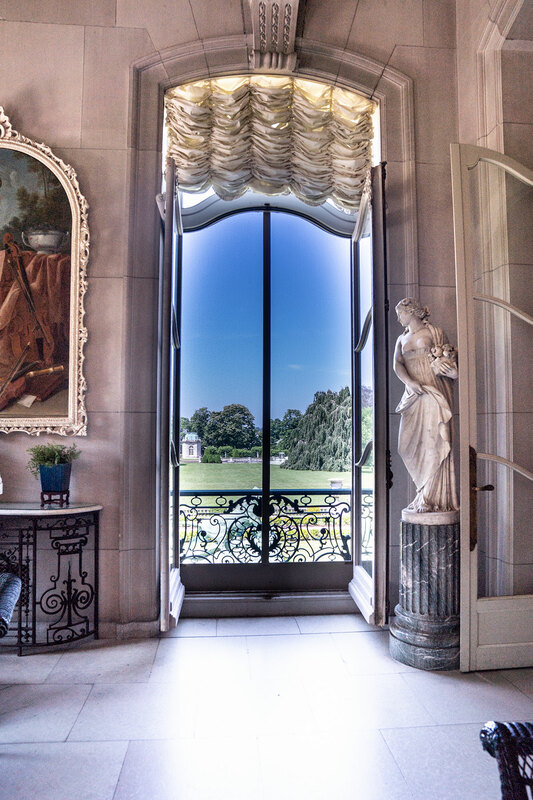 And we can’t forget the stunning “summer cottages” that are more like French châteaux and open for the public to tour. 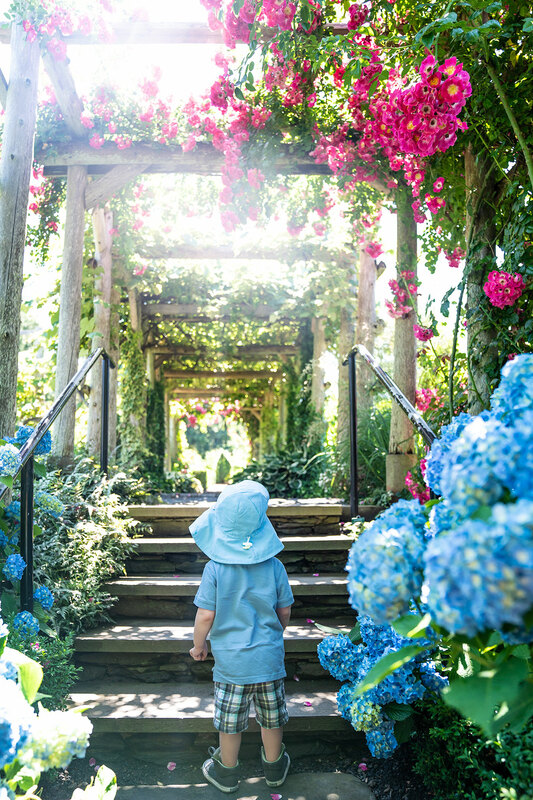 When you think of Newport, imagine picturesque shops, beautiful coastline stretching for miles, and blooming gardens everywhere. There are so many stunning sites to visit in Newport, it can become overwhelming to decide what sites to choose from and when to see them! 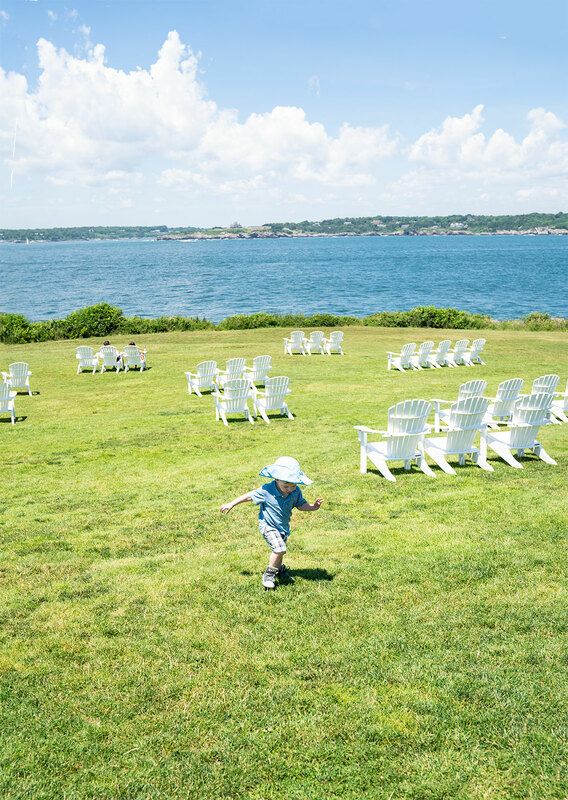 The Lawn At Castle Hill, to our family, represents the ultimate “New England shoreline” experience. 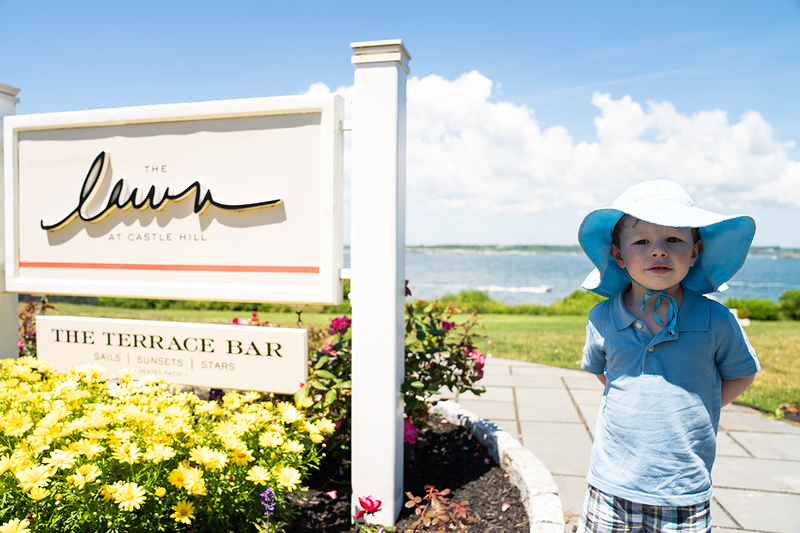 Castle Hill Inn is a picturesque white-washed hotel located on a beautiful manicured hill overlooking vast stretches of open blue coastline. 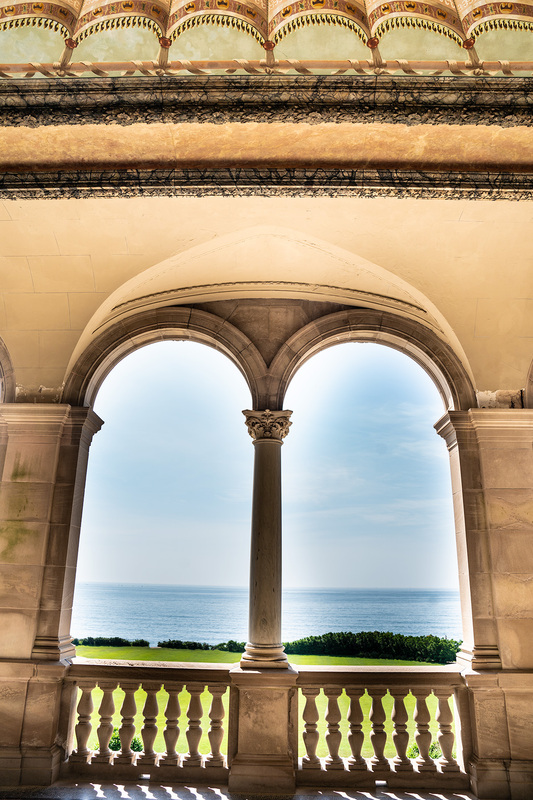 It’s a stunningly beautiful spot with sweeping ocean views in all directions. The fresh seafood on the menu was all wonderful (we loved the homemade bread, poke, fish tacos, and crab cakes). And we especially loved the wide open patio, situated with tables and sun umbrellas, that allowed us to watch the sailboats drift across the shoreline as we enjoyed our lunch. If you’re not hungry for a meal, an array of classic white Adirondack chairs are situated on the wide green lawn the restaurant is named after. You can grab a seat and order a cocktail. 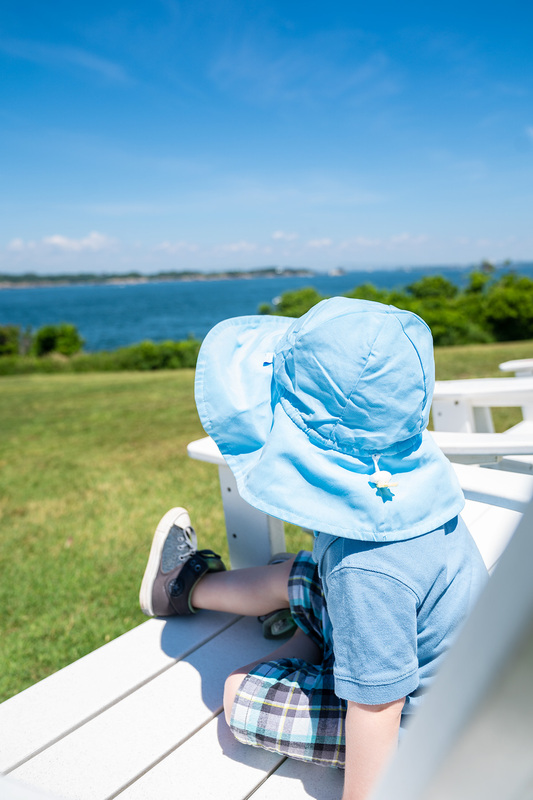 Then simply relax, feel the ocean breeze, and let your thoughts drift away as you watch boats floating along the calm blue Atlantic. 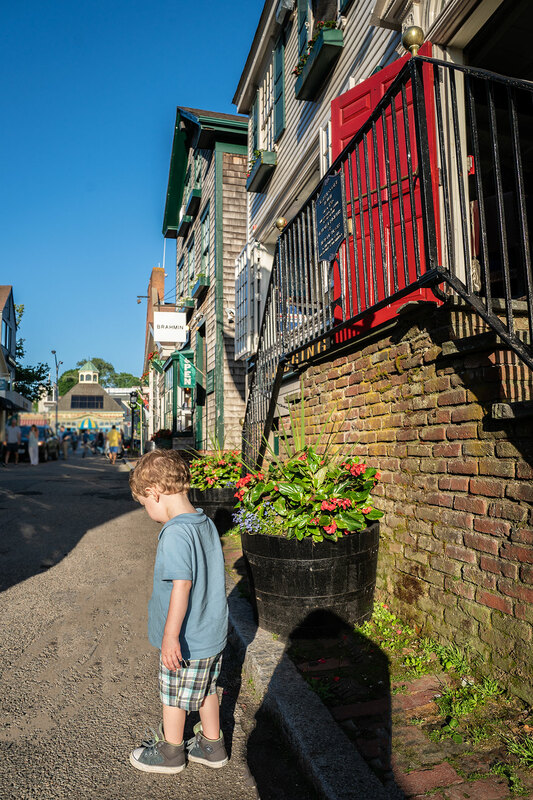 Bowen’s Wharf is a part of the quaint, picturesque, and altogether “New England” shopping district of Newport. 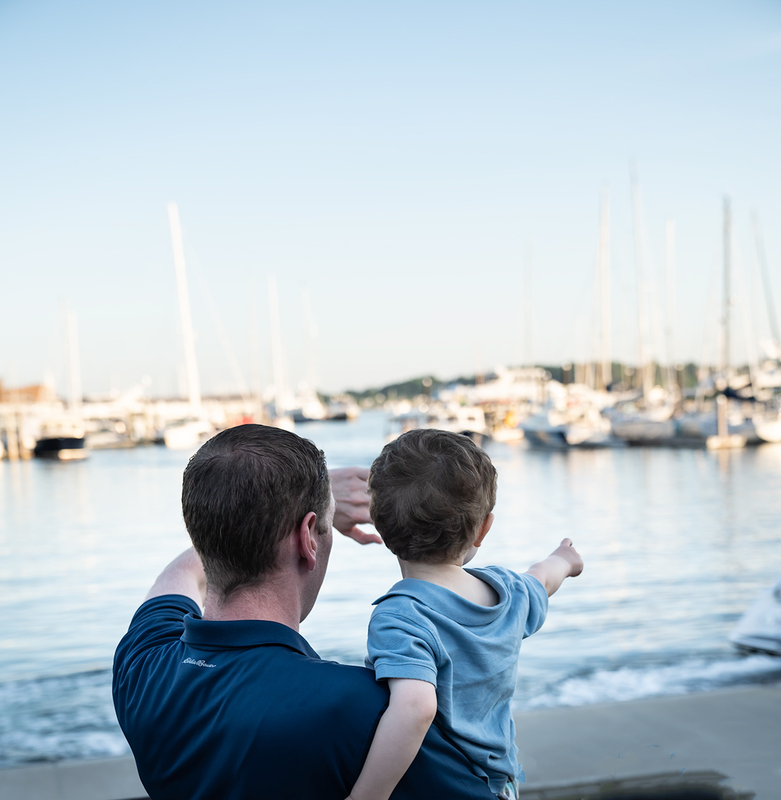 It’s located right on the beautiful harbor of Newport, and you can take a seat on a park bench and just relax and watch the sailboats float in and out of the harbor. 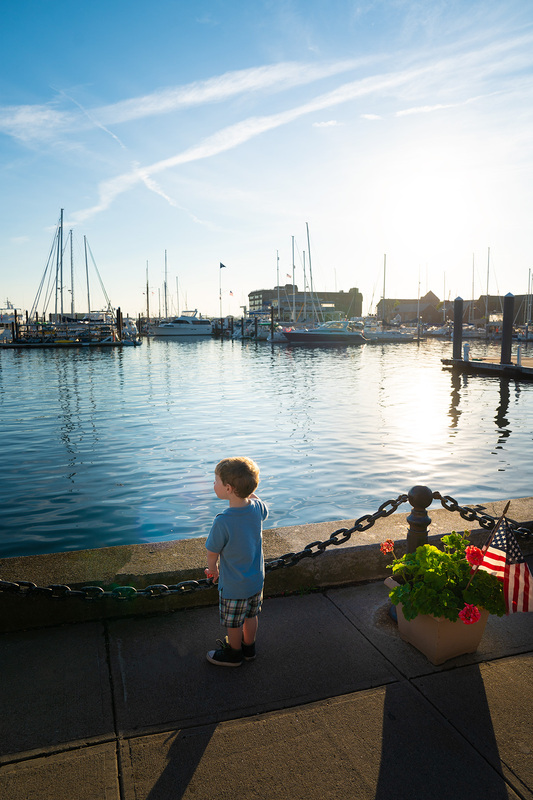 Bowen’s Wharf is where you can find Newport harbor tours, ferry trips, and charters for parasailing and sunset sails. There are also shops of every kind, many unique and local to Newport. We found so many options, from T-shirt stores and cookie shops and ice cream shops, to art galleries and jewelry stores, to soap and skin care stores. There are lots of restaurants to check out too. 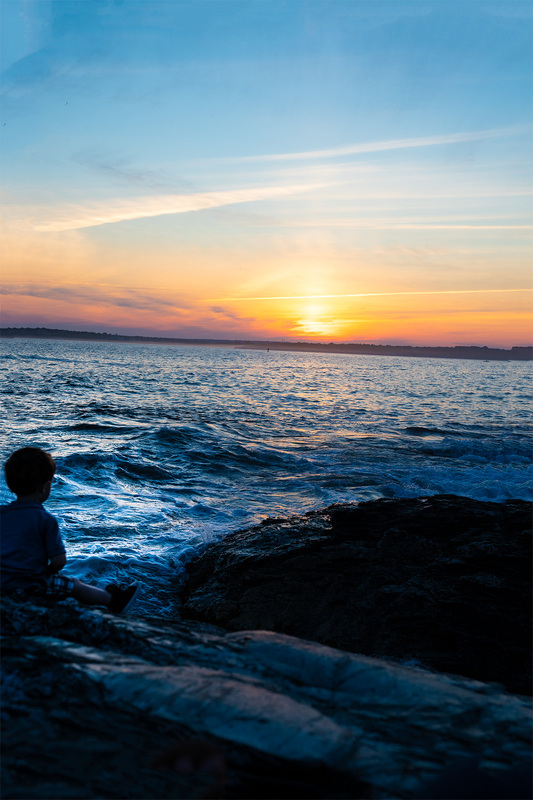 Traveling the coast of New England, we haven’t seen a lot of ocean sunsets. 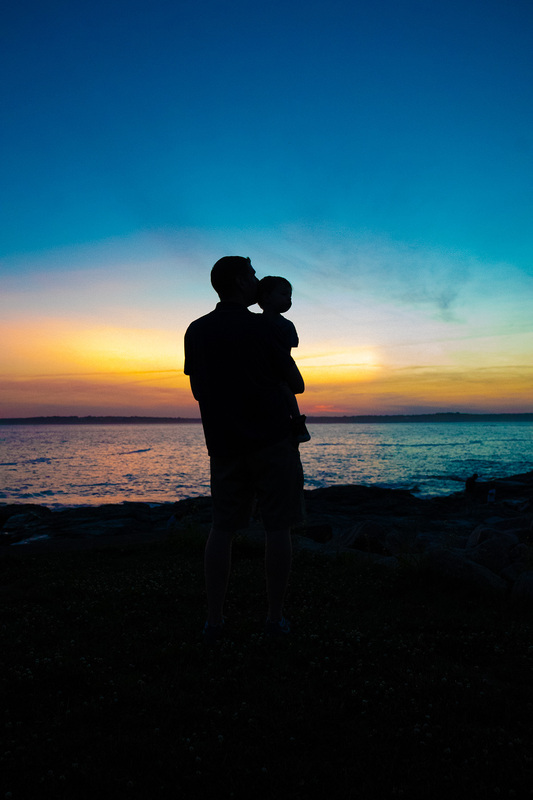 However, the sunsets over the Atlantic are breathtaking in Newport! 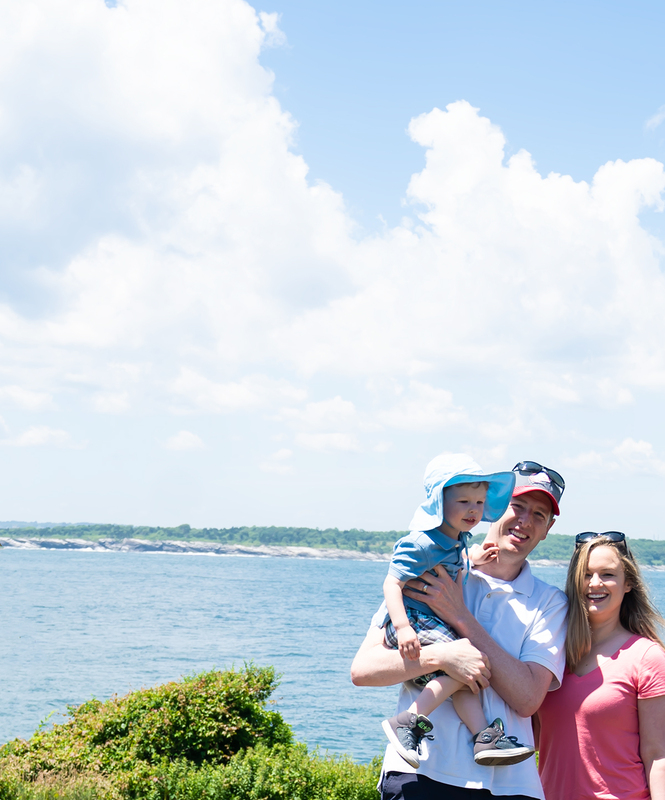 We absolutely loved our evening at Brenton Point State Park, which is a rocky New England shoreline. We should mention that there isn’t any soft sand here, and the ocean waves are quite rough and cold. 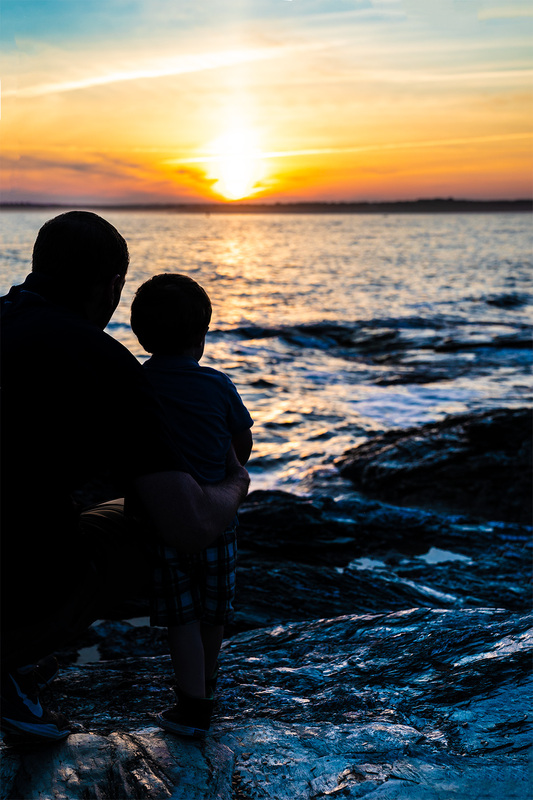 However, we loved just sitting down on the jagged gray rock, relaxing, and taking in the vivid show of color over the ocean at sunset. 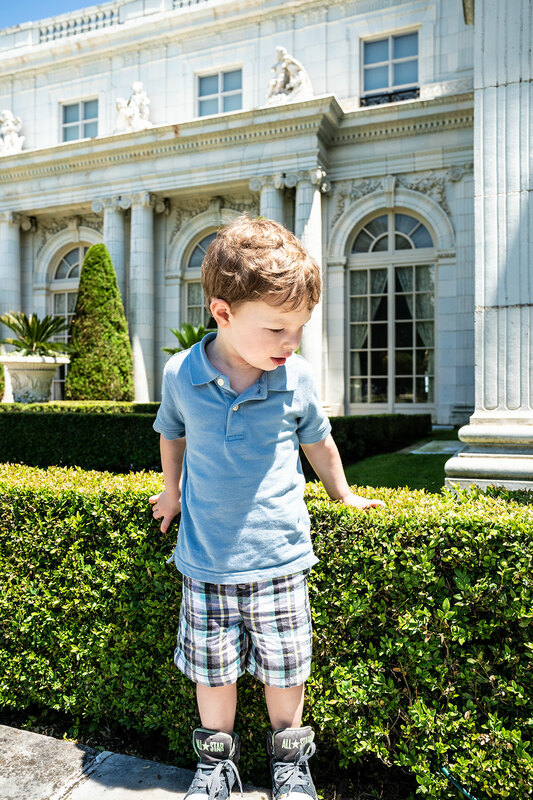 Aside from its beautiful beaches and harbor, Newport is known for its stunning mansions. 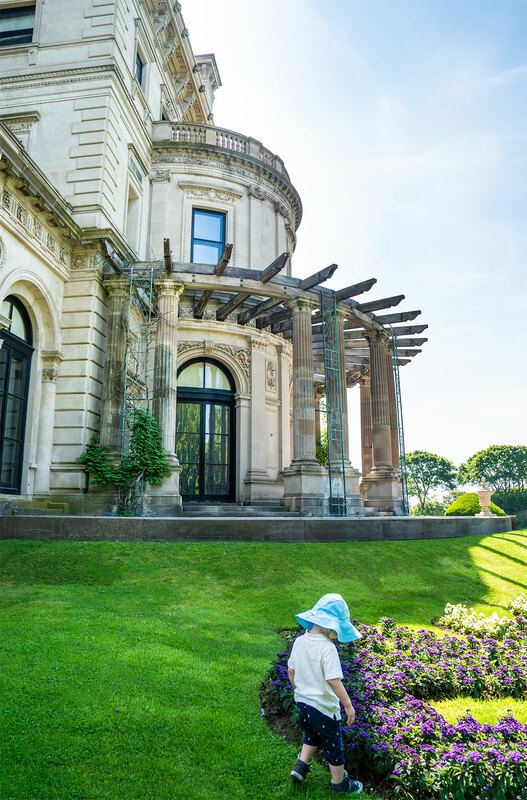 The Preservation Society of Newport County has preserved ten historic homes/mansions that are now open daily for the public to tour. 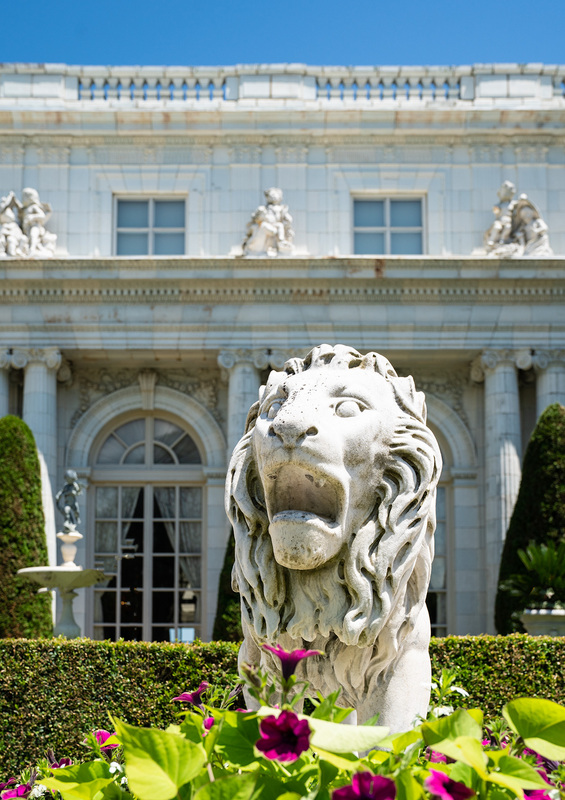 Of these, The Breakers is the largest, grandest, and most well-known. 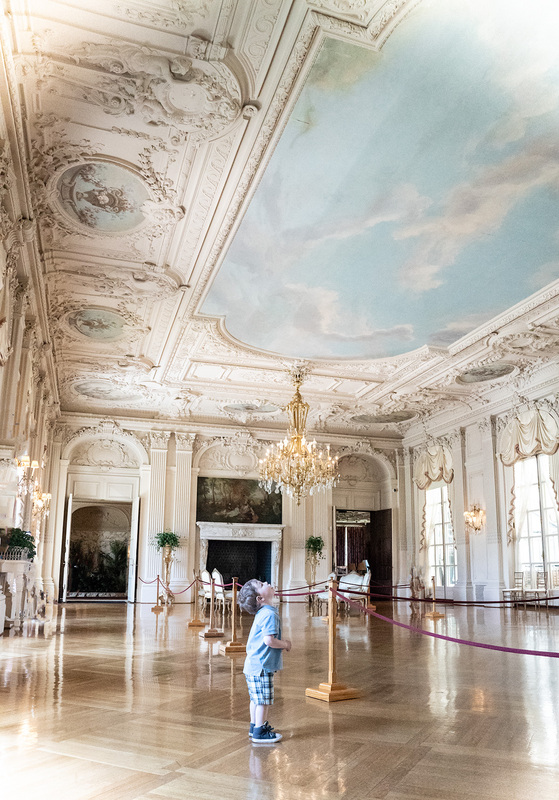 It’s also our favorite site in all of Newport, because we felt truly transported to a grand European palace. 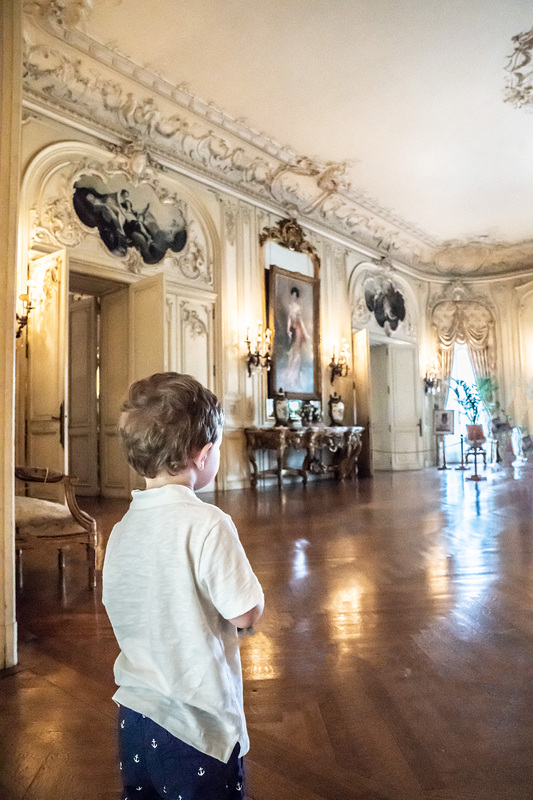 Visitors are free to do self-guided tours of many of the rooms (after paying for admission). This “summer cottage” was built by the Vanderbilt family at the end of the 1800’s. 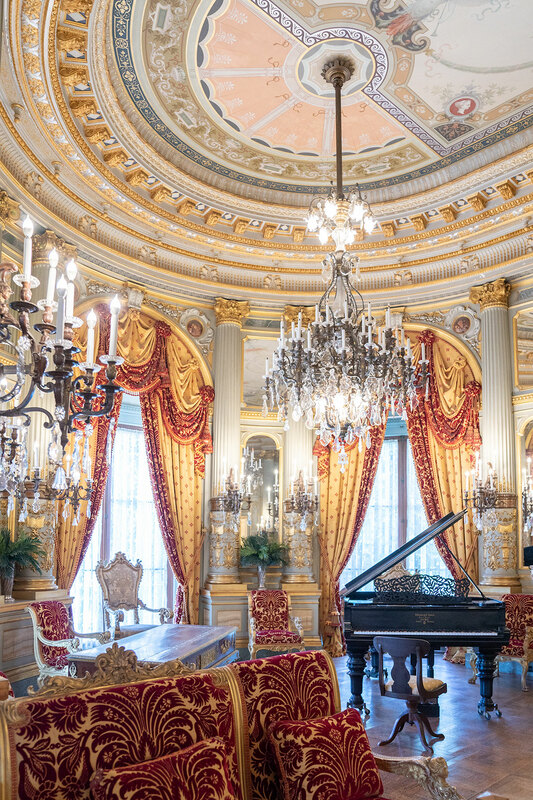 The rooms are stunningly opulent and furnished as ornately as they were when the Vanderbilts entertained here over one hundred years ago. The Breakers is perched right on the Newport shore. 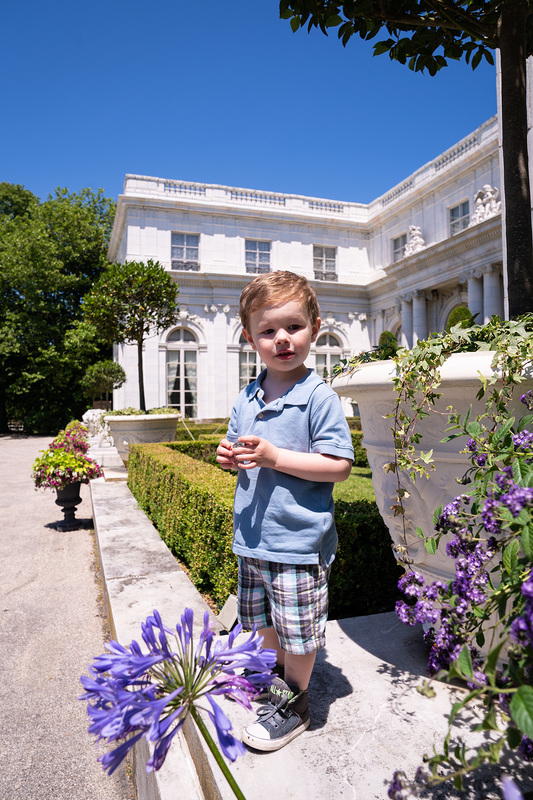 Visitors can wander the manicured grounds and gardens and take in the panoramic ocean views, just as the Vanderbilts once enjoyed. 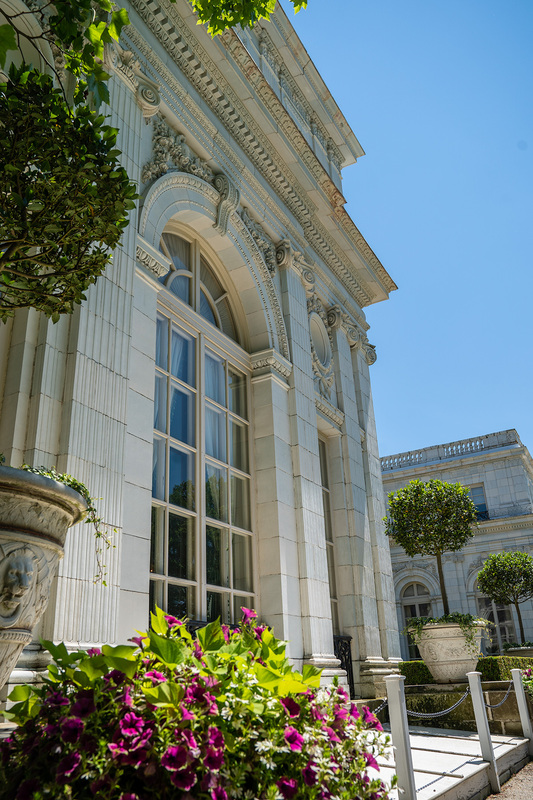 After you’ve visited The Breakers, you’ll know if you have any interest in touring any of the other mansions in Newport. If you’re anything like us, you’ll be blown away by The Breakers and want to see lots more! And there are many sites to choose from in Newport, ten in total. You can check out an easy overview of your options at The Preservation of Newport County site. 1.) One other incredible Newport “summer cottage” (i.e. grand mansion) is The Elms. 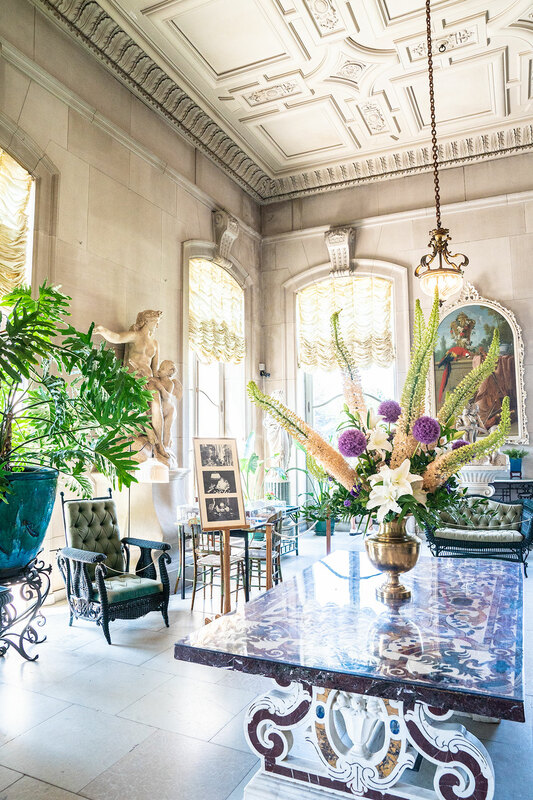 The Elms was built in 1901 and modeled after a French château. 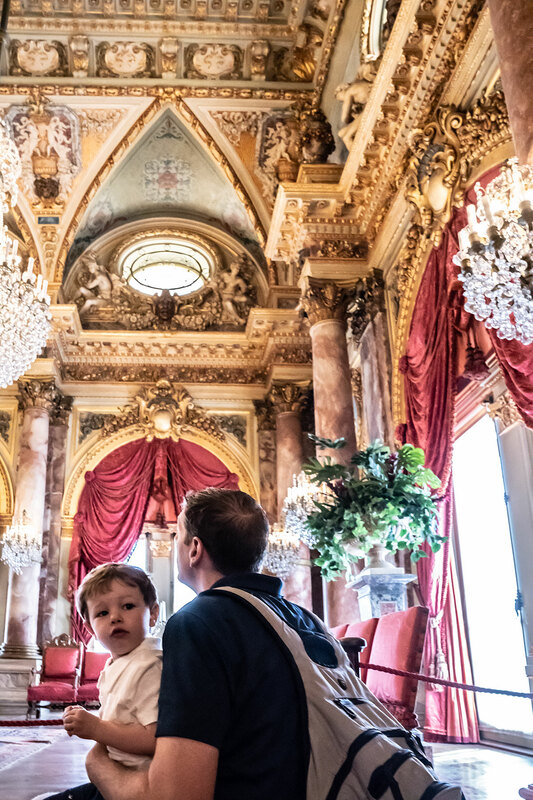 It’s similar to The Breakers in that each room is still fully furnished with the most ornate decor. 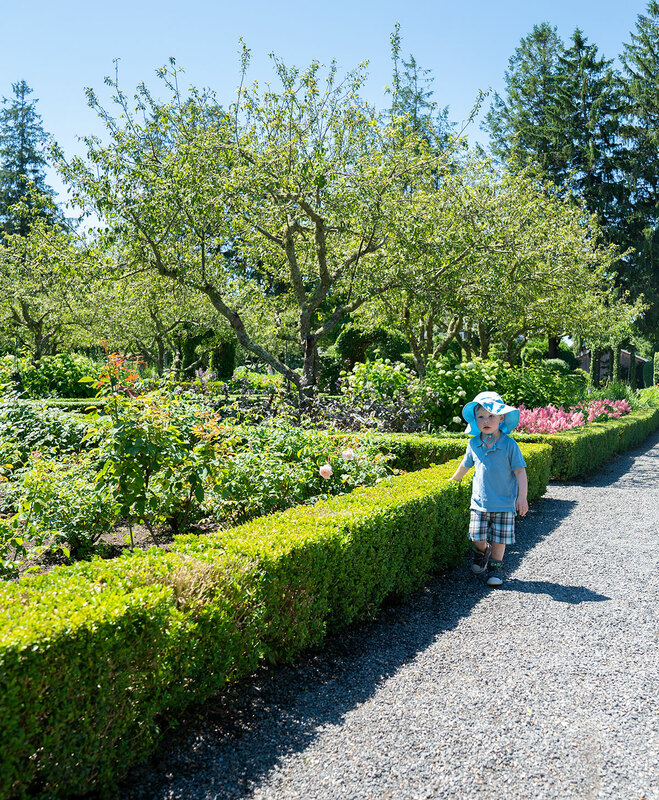 Plus, it has stunning gardens you can wander through afterward. 2.) 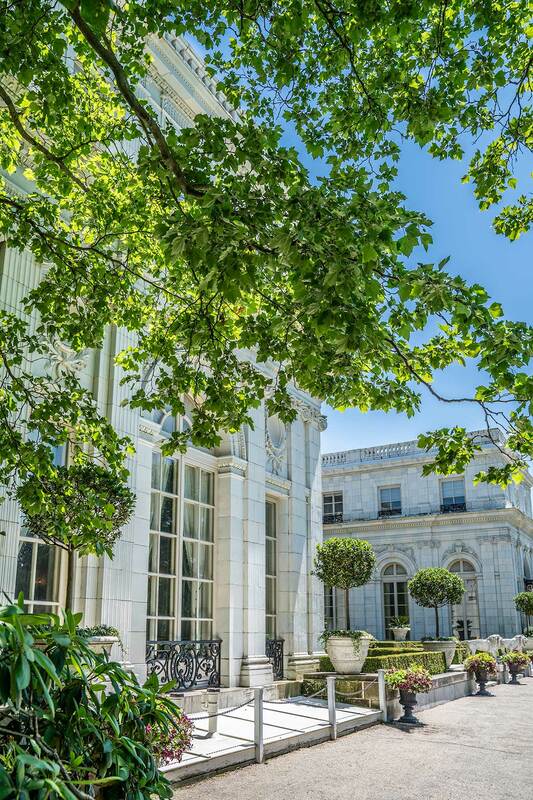 And if you’d like to see one of the most stunning gardens in Newport (and something really unique!) 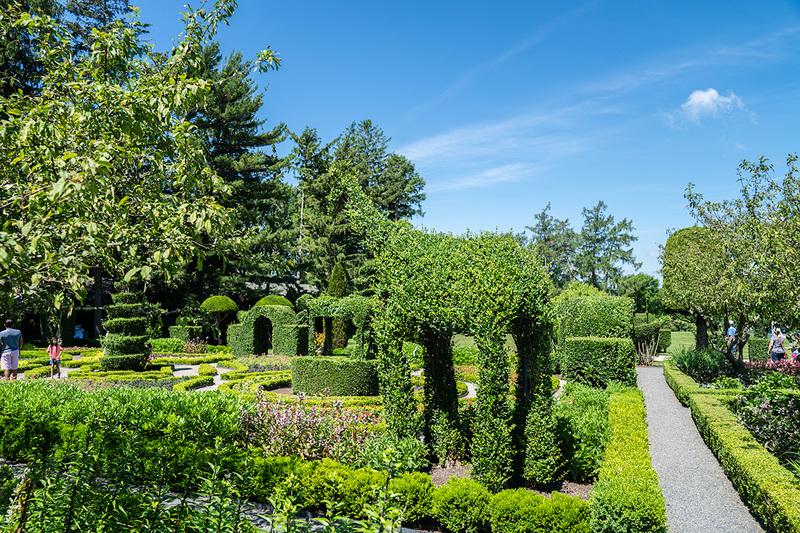 check out the Green Animals Topiary Garden. 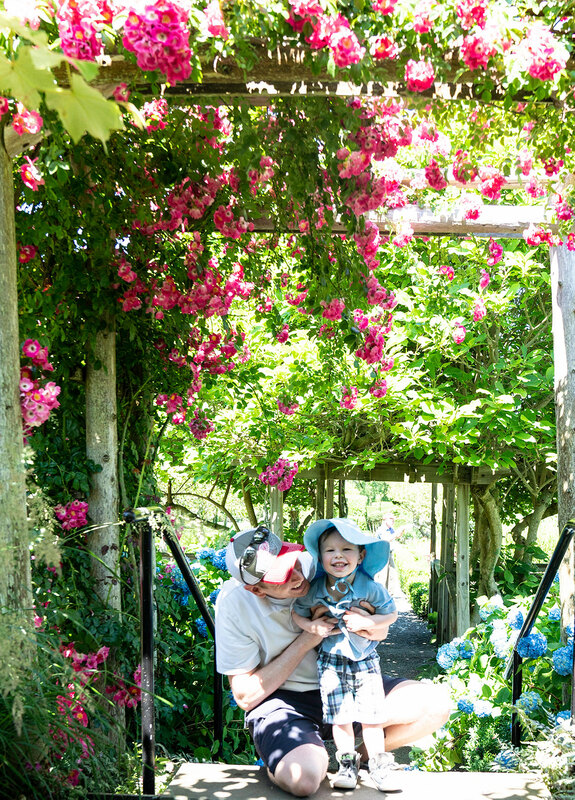 The grounds here are beautiful throughout the warm months of the year, with stunning flower beds and vegetable gardens. Trevor loved the open park space, and he couldn’t stop laughing when running through this arbor overflowing with vividly colored flowers. Many of the shrubs are manicured into the shapes of animals, such as a bear, camel, and the giraffe pictured above. It’s completely different from all of the other Newport sites, and beautiful. Previous Post Travel Confessions: Atlanta is for Families!